I used to look forward to the holidays almost as much as an adult as I did a child; the biggest difference was that my excitement shifted from wrapped gifts to edible goodies. Now that I’m adjusting to a life with food allergies, I find the holidays don’t have as much nostalgia for me as they once did. Gone are the days of enjoying my Great-Grandmother’s recipe for a freshly baked Swedish spice cake. And I can no longer count on getting those tins in the mail, decorated with cheesy holiday scenes, but packed with my mom’s freshly baked goods. I would be happy to adapt some of these recipes of my past, but sadly, I’m following a more restrictive diet than I need to if I want to explore baked goods with almond or coconut flour. The Doc says I should be able to eat them again soon, but until then, I’m pulling together a heck of a Pinterest page to keep tabs on all the goodies I plan to bake. So while I work through how to bake a cake without eggs, flour or dairy I’ll be sharing some recipes from other creative folks who are prepping allergy-free foods, and are happy to share them with us. The first of which is an incredible looking glazed donut by Jeni of Urban Poser (don’t you just love that name?!). 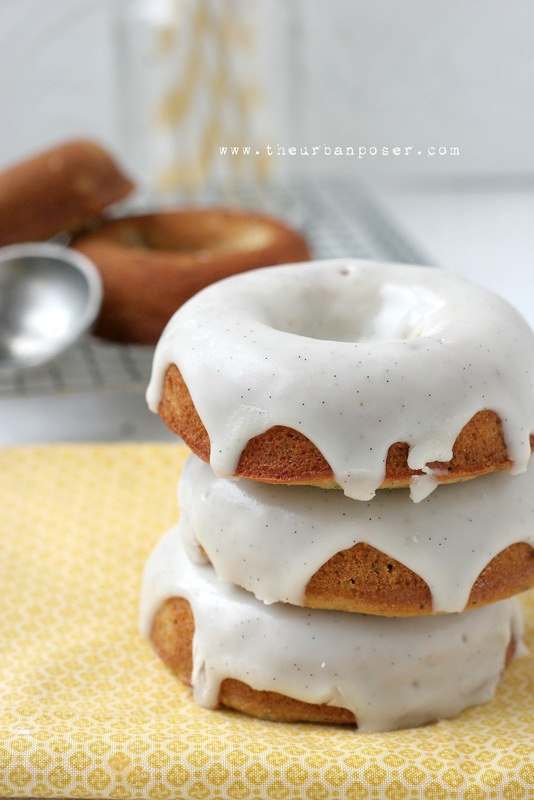 Anyway, Jeni has created a decadent Vanilla Poppy Seed Cake Doughnut with Vanilla Bean, Lemon Glaze that’s both gluten and dairy free, which is hard to believe from the looks of it. I’m counting on y’all to make these and share your comments with us so we know if these should make the e-scrapbook. 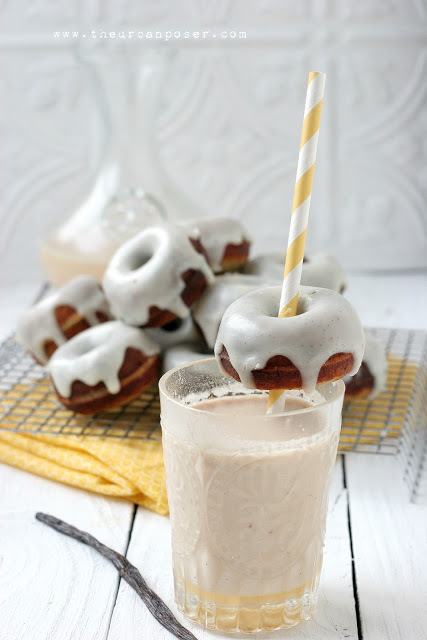 Click here for the full Vanilla Poppy Seed Donut recipe, including the Iced Rooibos Masala Chai (Grain & Dairy Free) Jeni pairs with it. 3 Pings/Trackbacks for "Vanilla Poppy Seed Cake Doughnuts W/Vanilla Bean, Lemon Glaze (Dairy Free, Gluten Free)"